Happy New Year! Maybe it’s the fresh promise and hope contained in the blank slate of a new year. Maybe it’s putting away all of those cluttering Christmas decorations. Whatever it is, I always feel inspired to organize my entire home in January and the pantry is a great place to start. My pantry is behind that blue porch-screen door. 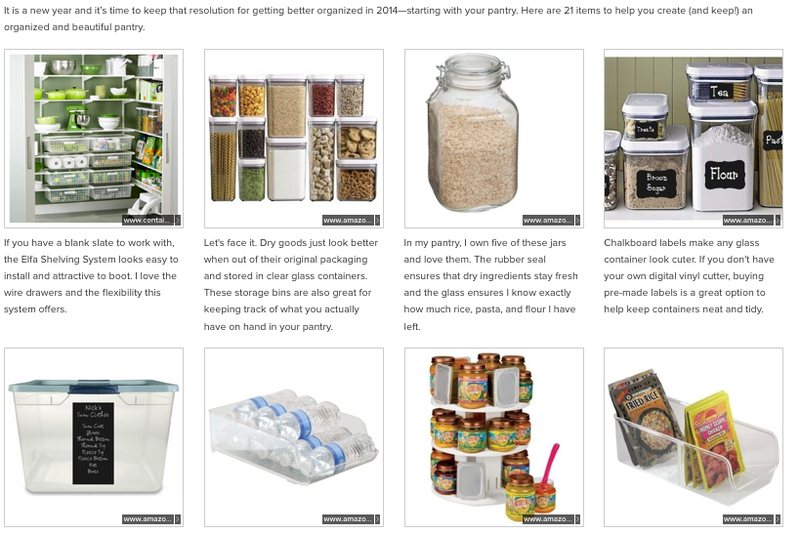 I redecorated and organized my pantry on a VERY tight budget back in 2010. Three years ago, I didn’t feel like going to the hassle of painting the pantry from it’s original bright red. It is going to be a pain to tape off all of the shelves, but I am ready to paint over the glaring red this year. I’m also ready to invest in a few new storage containers that I think will make life simpler for us. Most of the items are conveniently affiliate linked on Amazon. I have Amazon prime and love the convenience of shopping online! Of course it’s important to comparison shop to make sure you’re getting the best deal. Click picture below to see all listed items. 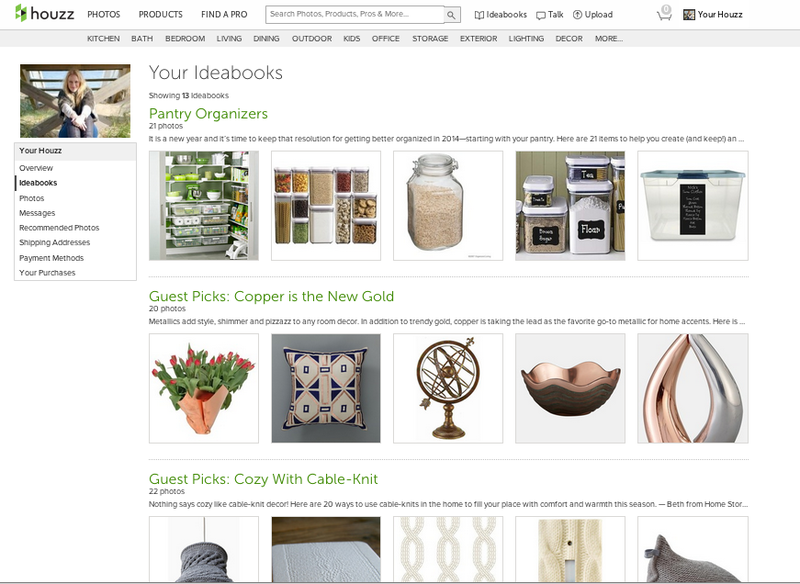 And just as an FYI, each month I write up an Ideabook for Houzz.com that can be found on my sidebar. These are a collection of 20 items related to a particular theme. You can find all of my Houzz Ideabooks here. 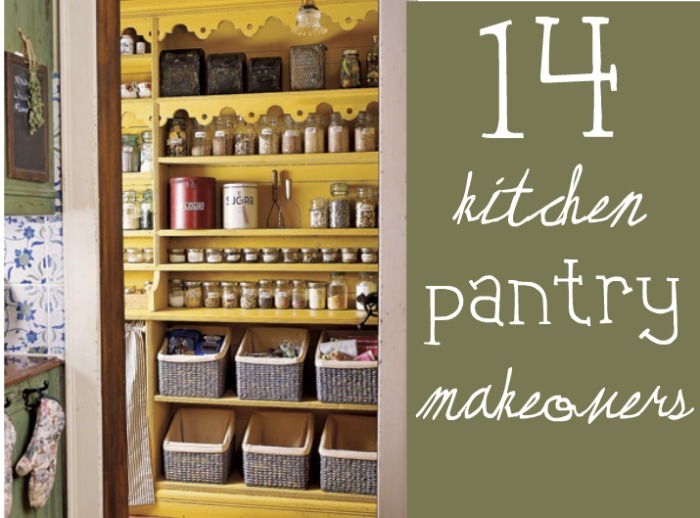 If you are looking for more pantry inspiration, be sure to check out 14 Inspirational Kitchen Pantry Makeovers. 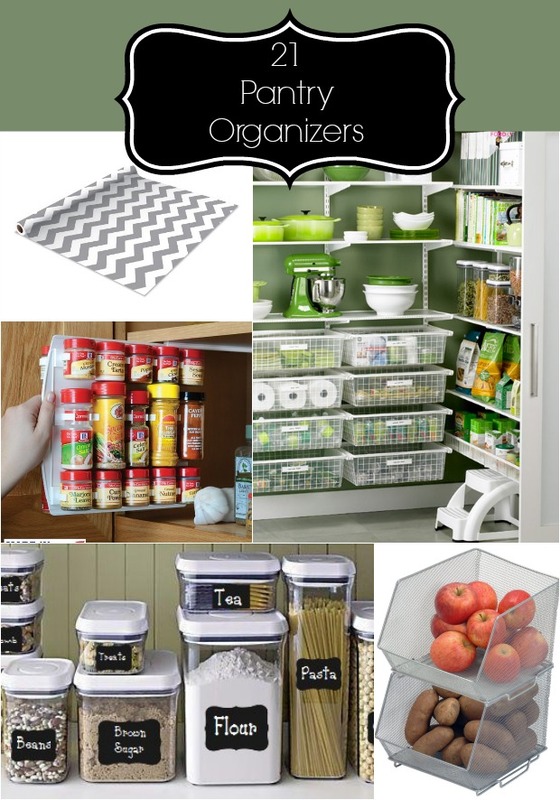 I love seeing how others have organized their pantries! 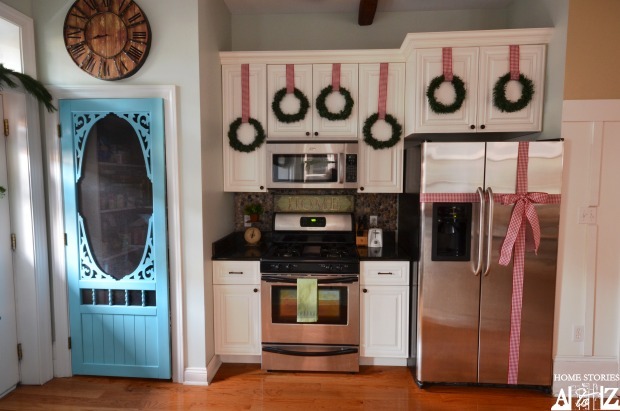 Love your pantry (the one with the red walls)!!! I have roughly the same configuration but the big diff is yours utilizes that left corner. I see how you attached the shelves to the wall but my big question is how are the shelves supported where the corners meet? I have never found an answer to this and I would love to use that space. I see you have some sort of bracket (?) on the corners. I would be ever so grateful if you could tell me what they are called so I can look for them. Thank you so much for sharing in all you do! 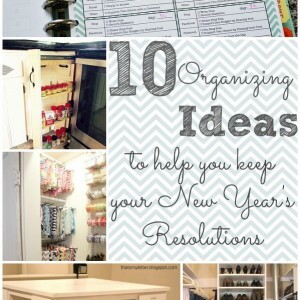 Lots of good ideas here, I have a couple cabinets that need an overhaul. Thanks for the roundup of goodies! Hi Beth, You’re an inspiration, as always! Now I’m gonna go clean and tidy up my pantry. I would like to do a makeover but I’m going to have to think about what I want it to look like … a trip to Hobby Lobby to look at baskets might be in order for further inspiration. Happy New Year! Great idea! I haven’t stepped foot in a HobLob for much too long. I think I’ll join you :). I love this! 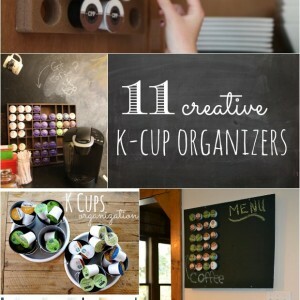 So many great ideas for a space that can easily get messy without organization. Love those chalkboard labels too!